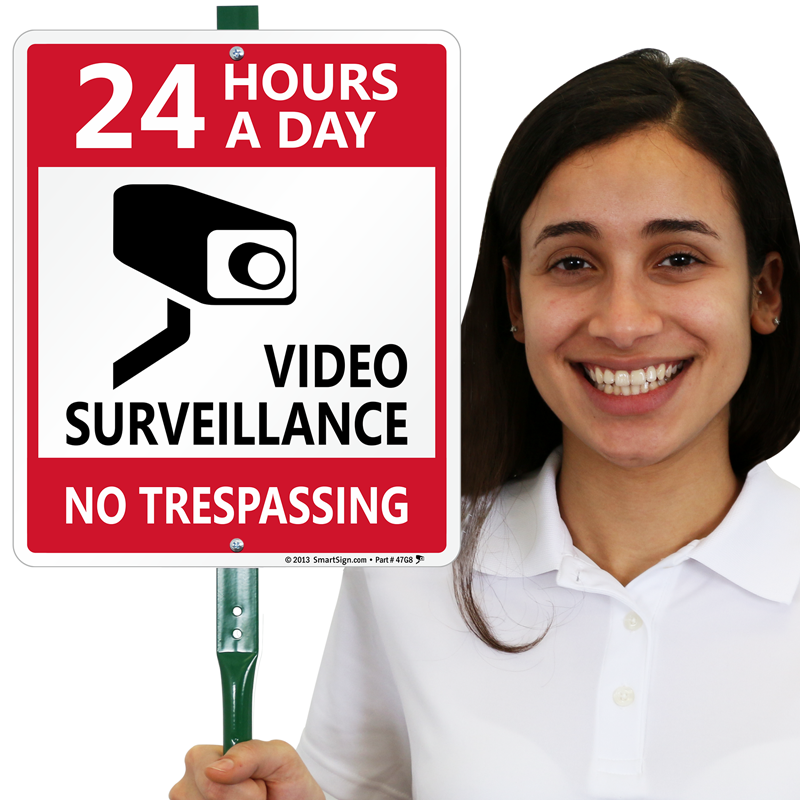 Notify potential wrongdoers that your property is under round-the-clock video surveillance. 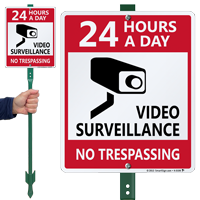 This LawnBoss™ Sign & Stake Kit is a proven deterrent to criminal activity and vandalism. 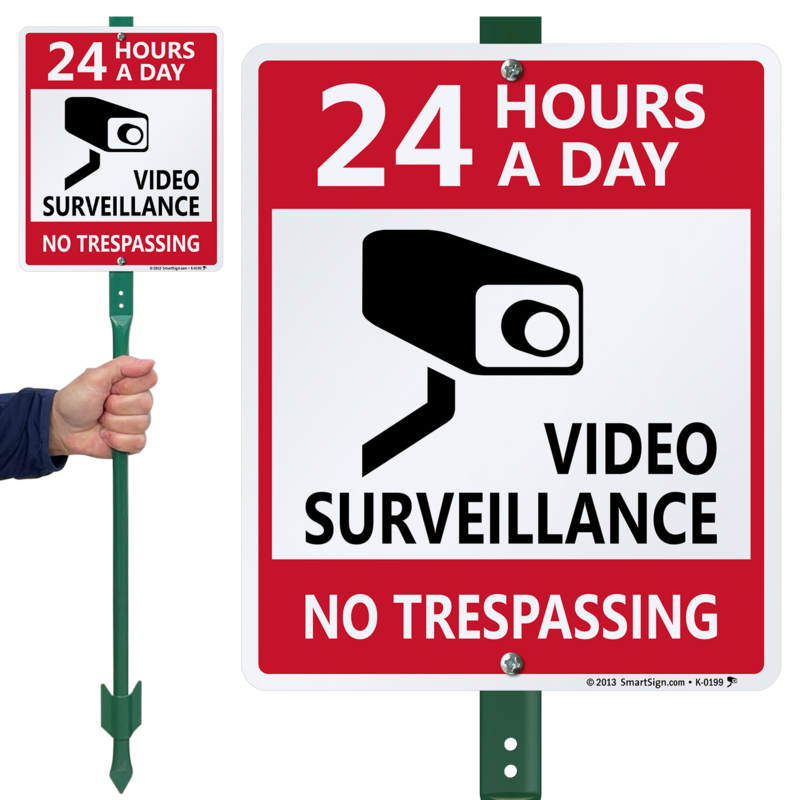 • Our LawnBoss™ Sign & Stake Kit comes pre-assembled for easy and quick installation. 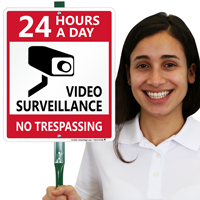 • Attached to a 3' tall stake, sign resists chemicals, UV rays, water and abrasion.